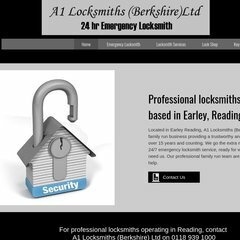 Topics: Residential, Security Management, Lock Shop, Reviews, and Reading Locksmiths Reviews. On average 2.00 pages are viewed each, by the estimated 9 daily visitors. It has 2 DNS records, ns2.mainnameserver.com, and ns.mainnameserver.com. It is hosted by Ftip003036839 Yell Ltd (England, Reading,) using nginx web server. It is written for PHP/5.3.16 language.